Indie Gala has decided to try something new with this bundle: mobile games. While other bundles (including Indie Gala itself) have flirted with including Android games, it's still a relatively rare sight to see. I suppose it's understandable; many gamers don't have smart phones, or don't like the available games on there. And while I do agree that the Google Play market is a bit dire for finding deep gameplay experiences, there are still a few gems out there, and now some of them are bundled for us to enjoy. Plus you get PC versions of some of the games for paying more than $3.99, plus three additional PC only games. That's a lot for only a little. The other thing I really like about this Gala is the return to just indie games. It was getting increasingly hard to accept the name when games that were not even remotely indie kept being included. I really believe that indie bundles should be about helping indie developers first, not helping publishers offload a bunch of copies of junk like Bad Rats. So yay, Indie Gala! Good work bringing things back to the indie scene. As a quick note, the Android phone I'm using for this review is my beloved Samsung Galaxy S II. Since time is short on this one, I'm going to truncate my usual lengthy reviews into a couple of quick, succinct points. Skip past the break and take a look. Great Little War Game is a pretty standard tactical strategy game, along the lines of Advance Wars. 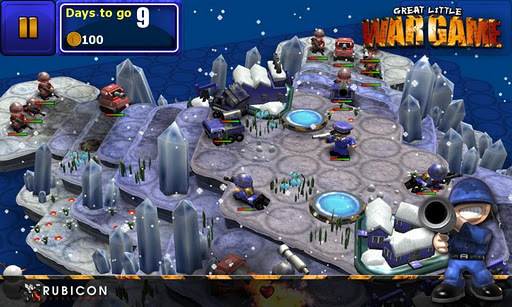 You build units and capture buildings, with the goal of clearing the map. It's a pretty standard array of unit types included, most of which fit into the usual triangles of counters and counter counters. 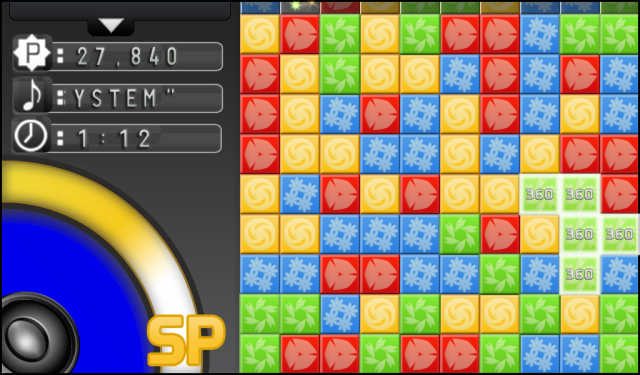 However, the game distinguishes itself by using hex squares, very distinct height advantages and choke points. Sure it is. While it may be a little generic compared to my usual TBS games of choice, Great Little War Game gets serious points for being on my phone. With twenty levels and a custom skirmish mode, this is something I can easily see myself picking up while on the bus or waiting between classes. The controls also worked just fine for my big dumb fingers, with little frustration or mis-taps. Well, it's only on Android, so there's your choice made for you. I don't think it would really work on PC, as it's definitely a solid game that becomes fun due to a lack of other options, compared to the decade of fantastic games I have access to on the PC. 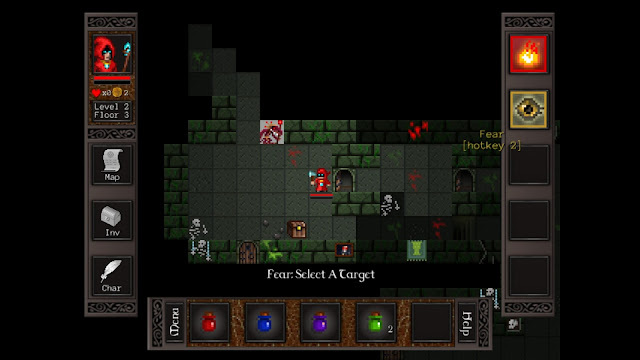 Cardinal Quest is a simplified roguelike that seems to be steadily working its way to every known OS on Earth. You pick one of three classes, each of which dictate how much effort you'll need to put into the game. After that, you delve into a dungeon of loot and baddies, trying to reach the minotaur on the bottom. One way the game simplifies the genre is by having your character auto-equip everything he finds that's better, and ditch outdated gear. Sure is! I wrote about it previously, but my favourite aspect is still the skill system. In the dungeon you pick up and equip skills, which essentially consist of spells or abilities. Casting one will render it unavailable until you take a certain number of steps. It's a clever system that gives the game a bit of necessary player intervention without undoing the genre simplification. 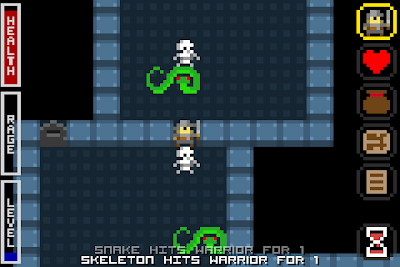 Out of all the casual roguelikes out there, this one is my favourite. The PC version is perfectly good, but I love having this game on a phone. To move you simply tap on the general side of the screen you want to move to, which is a solid control scheme. It's exactly the kind of quick time waster I use my phone games for, so the Android marketplace is perfect for this. Smiles is, well, technically it's a dreaded match 3 game. This will probably turn away most gamers right off the bat, but those of you who like a little bit of Bejeweled occasionally should really give Smiles a go. The central mechanic isn't swapping blocks left and right, but using the block in your hand in place of any block on the screen. It boasts three modes, all of which are fairly different from the usual. There's a zen mode, where you have to group the icons together within certain rules, drop mode, a faster paced traditional match 3 mode, but with no time limit and a focus on combos, and avalanche mode, in which frozen blocks that can't be swapped threaten to take over the field. Surprisingly, yes. Like I said, the three modes and central gameplay mechanic are all things that are atypical for a match 3 game, which makes it a little easier to recommend for fans of the genre. The graphics are pretty typical fare, but it has a seriously catchy soundtrack as well. I don't find myself playing match 3 games often, but I can see how this is a good example of the genre. The PC version is pretty superior in every way, especially in graphics and sound. However, this is the kind of game you generally want on the go, and the touch controls suit the swapping mechanic perfectly. If Diablo was essentially Blizzard taking roguelikes and sprucing them up into the loot fest we know today, Legends of Yore is taking Diablo and deconstructing it back down into a roguelike. Featuring many typical action RPG traits like unlockable skills, magic loot, central towns (with scrolls that make portals to them) and constantly randomized dungeons, Legends of Yore fits all of these traits into a solid roguelike framework. For sure! It's not a particularly deep game, and the graphic set is becoming rapidly overused (see Realm of the Mad God and Hack, Slash, Loot), but there's something inherently fun about clearing dungeons to get loot to clear more dungeons. Grafting on tile by tile turn based combat seems like a logical step to make the Diablo and such genre into something more feasible for on the go, start and stop gameplay. This gets a bit confusing. 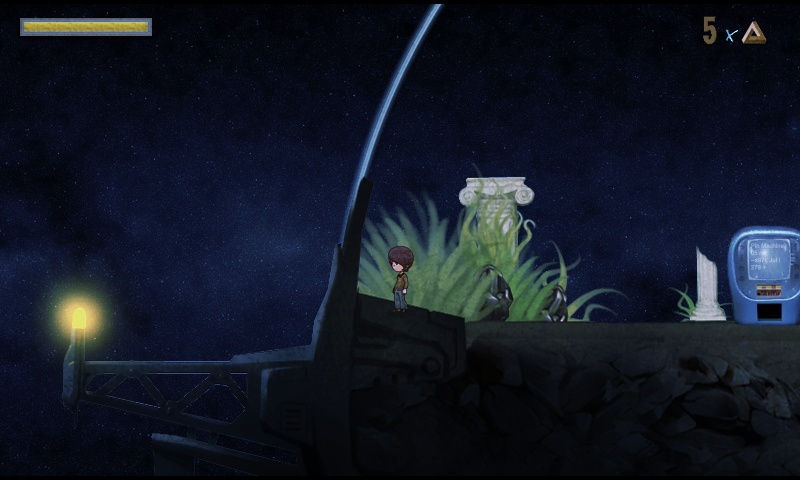 You can play the game on your PC (or Mac or Linux box), except you can't just jump right in. Upon installing the Android version you can create a username and password, then I believe you can use that username to activate the full PC version. I'm not certain though, because I couldn't run the PC version due to a Java issue and a fresh off the shelf new PC. If anyone knows more about how this works, let me know in the comments. Regardless, the game plays just fine on an Android phone, aside from a few curious tutorial prompts that refer to a keyboard. Beat the Average Games past this point. You folks without four dollars to spare, keep out! The obvious comparison to Manor of the Damned is top down action RPGs, like Secret of Mana or maybe even the Game Boy Zelda games. Another apt comparison would be the first Legacy of Kain game, Blood Omen, as both share similar gameplay and both are all about vampires. In short, you are a vampyre who has lost all of his memories, and you are asked to kill the specpyres plaguing the town. What's a specpyre? Half vampyre, half spectre. Just go with it. Perhaps. I thought it had a good base of the gameplay, and I did like the typical Zelda style of item use, but there are a few things that just kind of made me raise my eyebrow. One thing is the deadpan self seriousness of the game. I assumed that a game with the full title of "Rijn the Specpyre in... Manor of the Damned!" would be a bit tongue in cheek, but I assumed wrong. It's such a ridiculous storyline delivered absolutely straight: every single kind of undead meet together and try to breed the best immortal undead to... gain power, I guess? This turns out to be the specpyre, except the other undead get jealous and try to wipe them out, except there are still some alive. I feel like I just couldn't get past the idea of taking a creature called a specpyre seriously, and that kept me from enjoying the game. 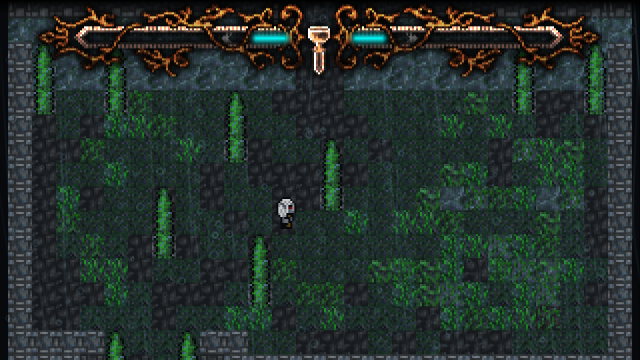 There's also some spotty level design that isn't all that clever and overly relies on a handful of mechanics. It's sort of like if you took my least favourite Zelda mechanics (anything Lost Woods and "hit one random spot randomly") and concentrated on those. It's a neat old school game with plenty of cool elements, but I find it overreaches a bit in the story while underwhelming with the puzzles. Well, it's a block based matching game. Eliminate groups of three or more blocks at once. Get combos. Try to keep the screen from filling. High scores. The usual. Well, it would be the usual except that there's quite a few differences worked in as well. The biggest one is the focus on music, either your own or tracks from the game. Blocks come down on beats, points are higher if you click to the beat, the time limit is the song itself and etc. There's also a focus on unlocks, with CoD-like perks to get and improve. Somewhat. First, the problems. The beat detector isn't exactly all that good at its job, so the timing for every track I tried (including the prepackaged ones) was out of sync and a bit arbitrary, speeding up and slowing down for no good reason. This doesn't matter so much, except there are bomb blocks that will wreck your field unless you destroy them before the number of beats runs out. The fact that you need to click every individual block is an annoying quirk; it's there to keep the game from being too easy, but difficulty through awkward controls is something I don`t much like. There are nice things as well, though. The perks and modes are a fun addition, and don't feel overly grindy. The gameplay itself is a pretty cool take on the casual puzzle genre, and while it isn't my kind of game I could see someone enjoying it. Just be aware that there are some flaws. Pitiri 1977 is a platformer adventure that takes place in 1977, which is apparently a very amazing year according to the developers. You play as Eli, a kid who walks into his bedroom just in time to see his kid brother get kidnapped by aliens. Like any good hero, Eli says nuts to that and follows them onto the space station the escape to, developing psychic powers along the way. It's mostly solid. The art style is great, and the opening cutscene is some of the most exciting, dynamic and beautiful animation I've seen in an indie game. The soundtrack is similarly excellent, taking many traits and influences from music of the period. Indeed, most of the game feels like a late 70s/early 80s period, kid-friendly Spielberg film, right along the lines of E.T. The platforming can feel a bit directionless (the opening level forces you to climb up and down it no less than three times) and occasionally spotty, but overall it's solid enough to enjoy with aplenty of typical challenges and powers to unlock. If you're a fan of indie platformers, Pitiri 1977 is a solid choice. That's all from me! If you want to pick up a bundle, hop on over to the site to grab one. Legends of Yore works on the PC for me (using loy-latest.jar) and even synchronizes saves to the phone but it's much better as a phone game for similar reasons you listed for GLWG. 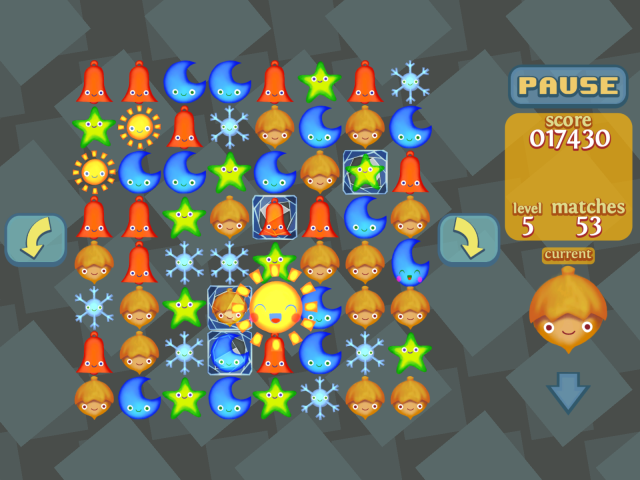 It's a great time waster on the bus but on PC there are much better options. Legends of Yore also works on iPhone/Pad, with the same caveat of needing to activate it on the Android phone first. Android/iPhone combos are probably pretty rare, but Android/iPad probably aren't and it's much nicer on the bigger screen while still being portable! Another thing iPhone/iPad/PC users could do is find a friend with an Android phone and activate it from there. The activating of an account is very quick, so it wouldn't be too much of a bother. did you have any trouble picking your own songs in turba? i had a more negative impression of that game than you portrayed here, and i actually bought it by itself because i was interested in a game where i could use my own music. what bothers me most is the beat sound it plays over your music when it thinks there's a beat, which basically ruined listening to my music.